Let’s face it, aging is a part of life we all go through. Hitting the big 5-0 may look scary because it could bring physiological changes and lifestyle changes as well. With your metabolism slowing down a bit, energy levels decreasing, and some bouts of pain here and there, feeling the dread is totally normal. These changes truly bring discomfort, especially when your favorite clothes no longer fit, and the added fats keep appearing everywhere. Yet, all these things can’t stop you from living a full life. It only takes lifestyle changes, diet, and specific activities to stay fit and maintain a healthy weight. Here are the ways you could try when you hit middle age. A glimpse of your BMI can greatly help in understanding your overall health. It’s a useful tool to determine whether you’re, overweight, underweight, or perfectly normal. Being overweight simply means you need to shed those extra pounds. Being underweight, which seldom happens in your 50’s, could mean something might be wrong in relation to your health. Seeing your doctor is the best way to get clarity about your state of health. If your results fall to the normal category, you still need to maintain a physical activity to keep that healthy weight in middle age. 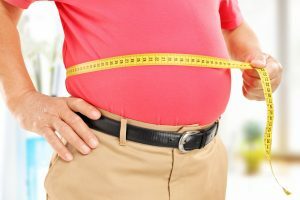 Even when you’re not gaining weight, your waist will normally accumulate fats as you get older. This is because of the hormonal changes that are at the same time occurring in your body. A decline in the testosterone levels of both aged men and women can reduce the body’s muscle mass, making them appear ‘fatty’ despite losing muscles and gaining fats. In your younger years, you may have checked your family’s history for the main reason of knowing your roots and ancestors. Now that you’ve hit middle age, evaluating family history is important when it comes to your health issues. Know any health problems that run in your family and ask your doctor for the possibility of you getting the same disease. Once you know the problems your family went through, it would be easier for you to make changes in your lifestyle and diet to avoid suffering from the same disease. Maintaining a healthy weight is one way of doing it. You don’t have to follow a strict diet plan to keep a healthy weight. Eating the right food and avoiding unhealthy stuff is a simple way to do it. This could mean taking away sweets and foods with a high glycemic index from your diet. Some men in their 50’s feel they’re old enough to do stuff while others in the same age bracket choose to stay younger in mind and spirit. They have daily physical routines that help them keep moving. They jog, run, walk, or bike. If this is not you or these things don’t interest you anymore, you still can keep yourself moving even without the exercise activities. Mowing your lawn, gardening, and walking the dog are non-exercise activities that can help you lose calories and burn the fats. Lifestyle plays a big role in your health as you age. When you hit 50 or 60, your focus may be more on social activities and less on the physical. You may find yourself frequently exchanging chitchats with a neighbor or a friend or into the habit of dining out with your family as a way of spending quality time together. These activities can increase your chances of gaining weight. You don’t have to necessarily avoid having these ties with the people who matter to you. But you can tweak your activities together. You can invite them to go for a walk, a hike in the woods, or have a dip at the pool or sea, whichever is preferable. Alcohol is almost always a part of a man’s life. Whenever you dine out or entertain a friend at home, you could never avoid having a drink. However, alcohol has been found as one major cause of serious health conditions, aside from the excess calories that lead to weight gain. If you’re to lose weight, limiting or totally avoiding alcohol intake can be a wise decision. Protein helps the body feel full longer while it builds and repairs tissues in the body. Aside from that, protein has also been found to burn more calories. The good sources of protein are meat, poultry, fish, dairy, and eggs. You can also get protein from vegetables, like beans, legumes, seeds, soy, and nuts. If you’ve turned vegan in your 50’s, a combination of the essential amino acids with different plant sources can provide you with the complete protein your body needs. Hunching or walking in the shuffle like manner can make you look older than you really are. This isn’t a problem when you follow functional stability training. Strength training not only helps you maintain a good posture, lift and carry things, and get up much easier but also helps you move with ease. Older people who follow strength training have been found to ditch their canes and walk straight the way they used to. 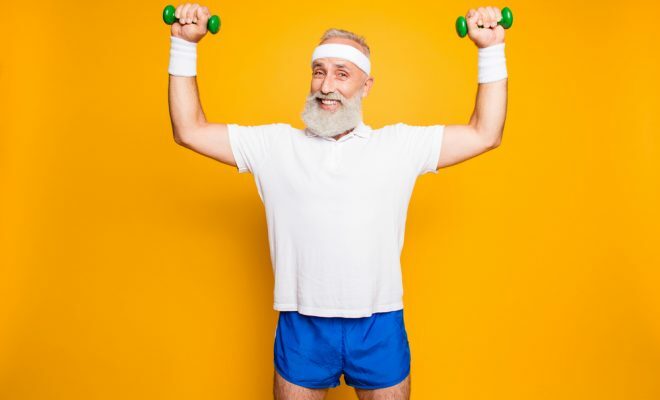 So, while you’re still in your 50’s or 60’s, find a fitness instructor who can help you stabilize and strengthen those muscles again. Losing weight in your midlife is no longer the same in your younger years. This time, you need to have a variety of physical activity to offset hormonal and physiological changes as you age. Your workouts should include strength training, aerobic training, and flexibility training. Strength training exercises help with building and maintaining muscle, aerobic training helps to offset the decline in metabolism and in heart health, and flexibility training exercises help increase the range of motion in your joints and in moving with ease. Keeping a healthy weight as you age is ideal to stay fit and avoid possible health problems. The suggestions above are a big help, but you don’t have to do them all at once. You can begin by choosing to follow two or three and increase the number when you feel you can. Keep doing them until they become a habit. When you’ve achieved your ideal weight and ideal body shape, others may have difficulty guessing your age. And it can be quite flattering for a middle-aged person like you. 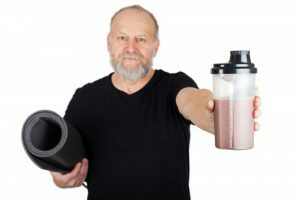 ← Previous Story Dietary Fiber And Weight Loss: Is There A Positive Connection?